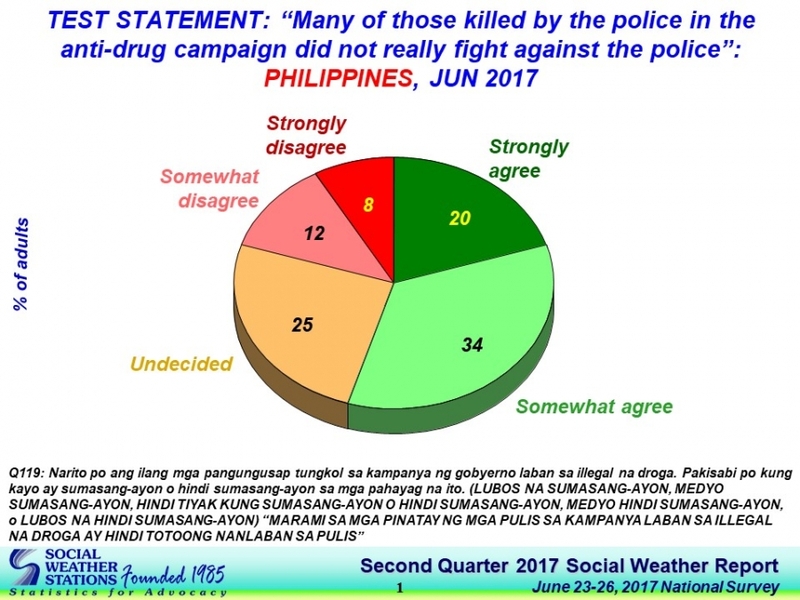 MANILA, Philippines — More than half of Filipinos believe many suspects slain in police anti-narcotics operations did not fight back contrary to official accounts, the results of a Social Weather Stations survey showed. 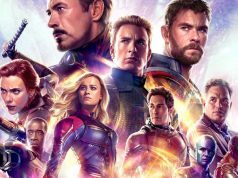 Twenty-five percent were undecided and the remaining 20 percent disagreed. 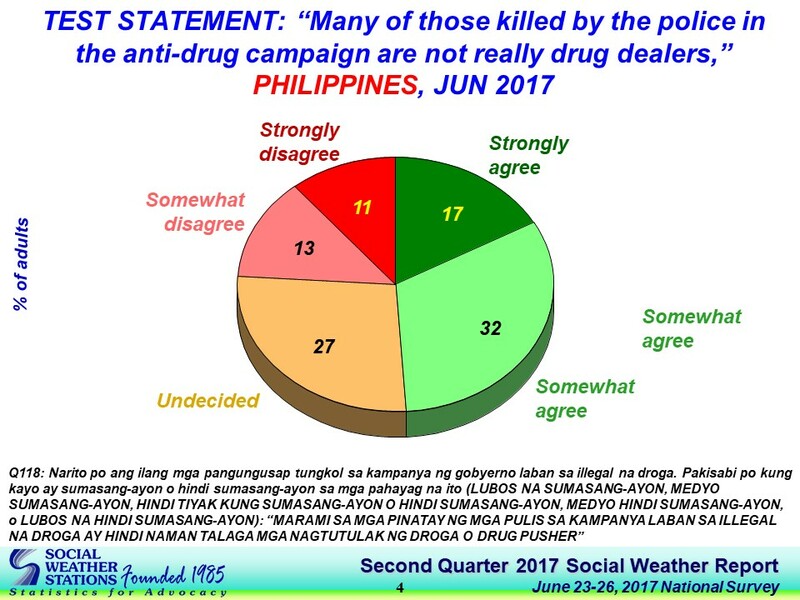 Just as telling, almost half, or 49 percent, agreed that “marami sa mga pinatay ng mga pulis sa kampanya laban sa ilegal na droga ay hindi naman talaga mga nagtutulak ng droga o drug pusher (Many of those killed by the police in the anti-drug campaign are not really drug pushers),” with 27 percent undecided, and the remaining 23 percent disagreeing. 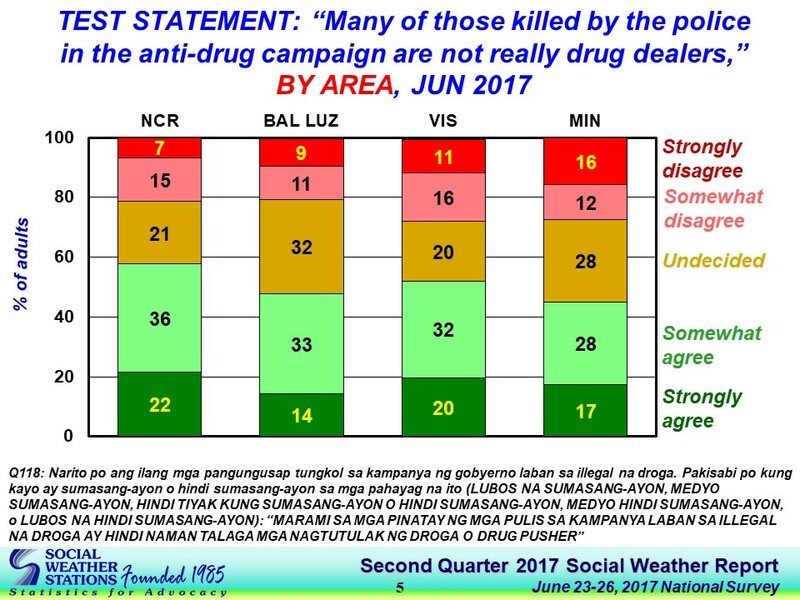 The non-commissioned survey was conducted from June 23-26 using face-to-face interviews of 1,200 adults nationwide, with sampling error margins of ±3% for national percentages, and ±6% each for Metro Manila, Balance of Luzon, Visayas, and Mindanao. 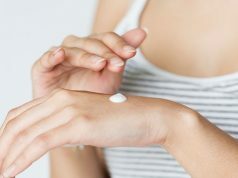 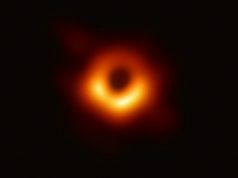 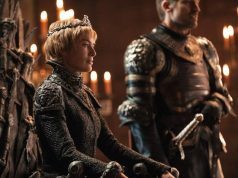 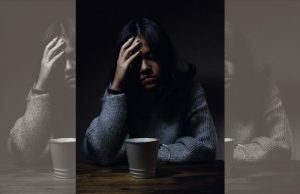 The results showed “incredulity over the ‘nanlaban’ reason” was highest in Metro Manila, at 63 percent, followed by the rest of Luzon at 56 percent, and 49 percent in the Visayas and Mindanao. 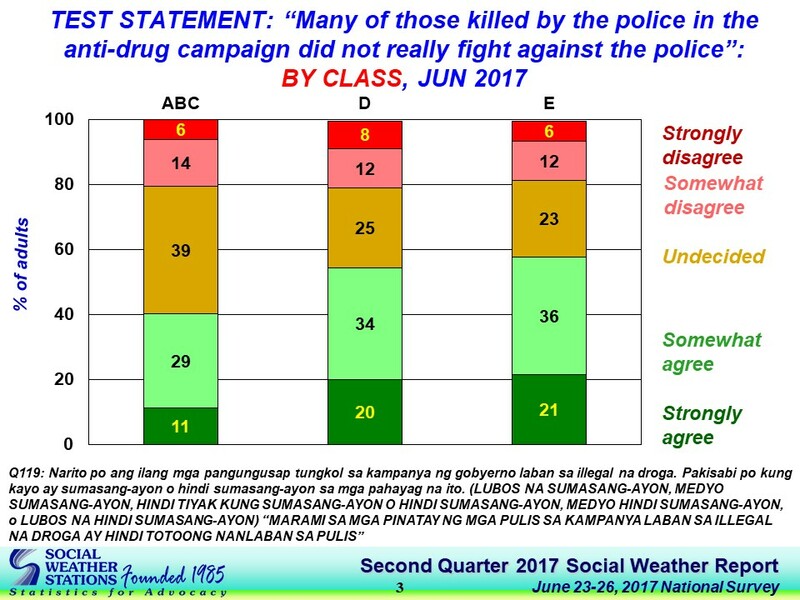 And the very poor were more likely than the rich to doubt nanlaban in killings by police, with 58 percent of respondents from class E agreeing with the test statement and 54 percent among class D, compared to only 40 percent of ABC respondents. 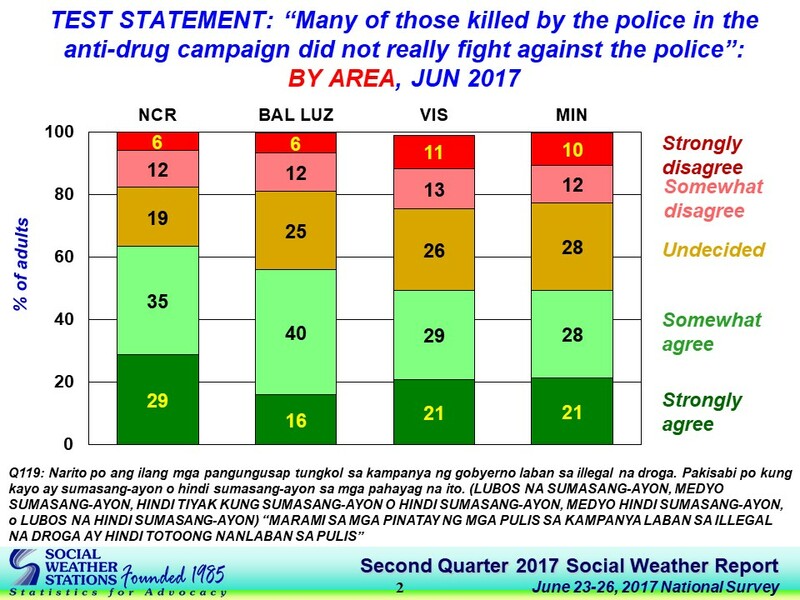 Respondents’ belief that many slain suspects were not actually drug pushers was also highest in Metro Manila, at 58 percent. 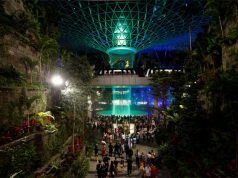 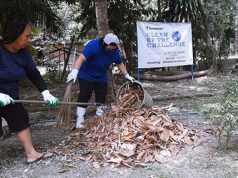 The Visayas followed with 52 percent, the rest of Luzon with 48 percent, and Mindanao with 45 percent. 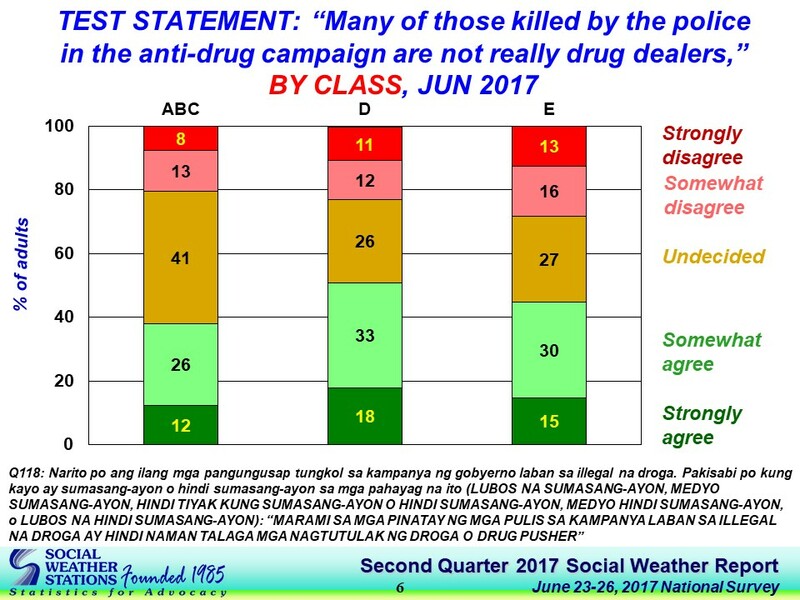 Among socio-economic classes, 51 percent of class D respondents agreed that many of those killed were not pushers, followed by class E with 45 percent, and ABC with 38 percent. 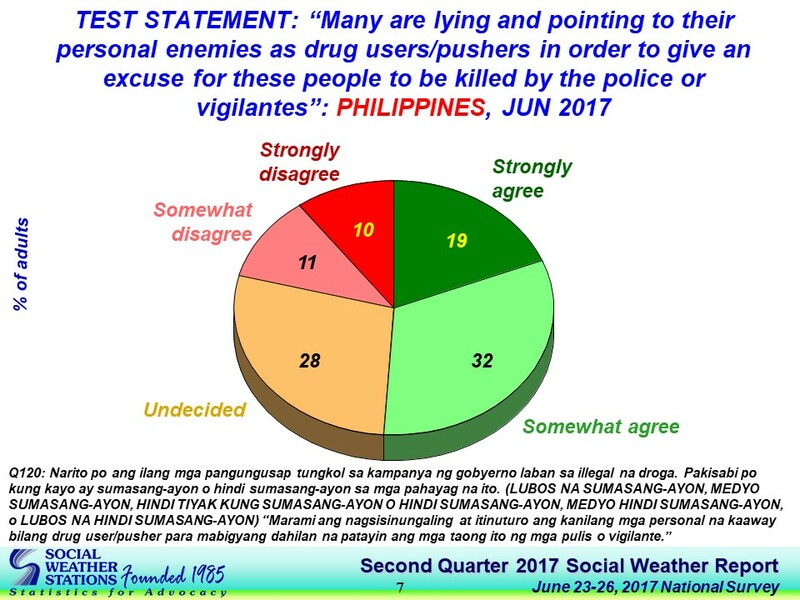 Again, more respondents from the National Capital Region — 63 percent — were more likely to believe people lied or reporter personal enemies as drug users or pushers to mark them for killing by police or vigilantes, compared to 51 percent in Mindanao, 50 percent in the rest of Luzon, and 42 percent in the Visayas. The aggressive war on drugs that President Rodrigo Duterte vowed to wage during the campaign is estimated to have claimed upwards of 13,000 lives, most of these from the poorest communities, and counting since he assumed office last year. 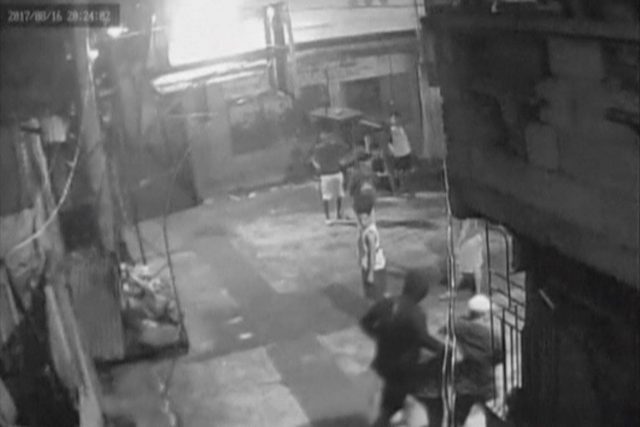 The killings, many of these by unknown vigilantes — although there is also widespread suspicion many of the gunmen are law enforcers just as there are serious doubts about “legitimate” police operations — has earned the administration criticism from human rights organizations and experts here and abroad as well as from several foreign governments. 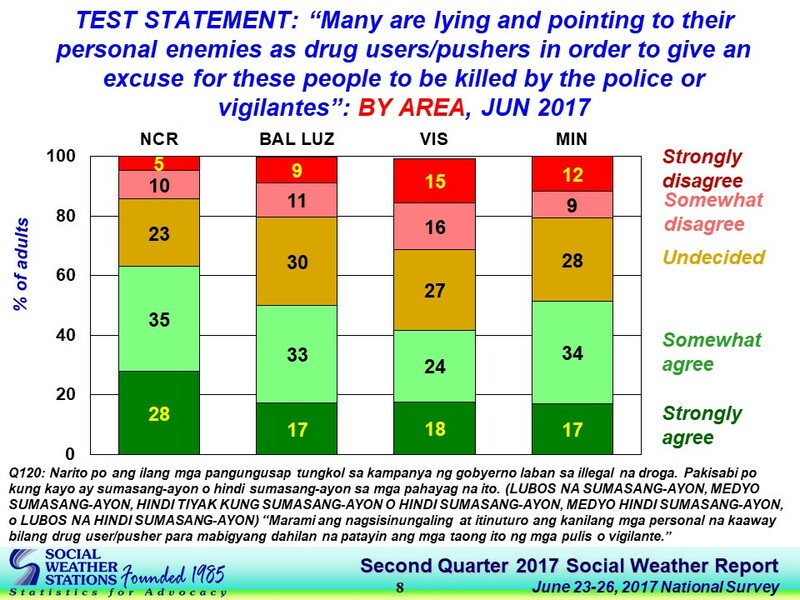 Despite this, an unfazed Duterte has vowed no letup in his aggressive campaign.